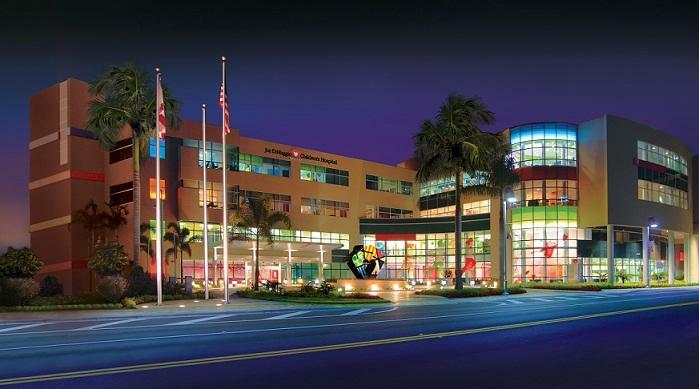 Joe DiMaggio Children’s Hospital, a 226-bed facility, opened in 1992 and is located in Hollywood, Florida. As South Florida’s newest freestanding children’s hospital, Joe DiMaggio Children’s Hospital is redefining the pediatric healthcare experience. We combine cutting-edge excellence with a commitment to patient- and family-centered care, and have the largest and most diverse group of board-certified pediatric specialists in the region. Thanks to exemplary medical expertise, advanced technology and exclusive pediatric programs, it has earned the distinction of being the leading children's hospital in Broward and Palm Beach counties. Joe DiMaggio Children’s Hospital is the only Pediatric Trauma Center in South Broward County and is dedicated to the physical and emotional care of children. We’re continuing to pioneer revolutionary programs that define the standard in pediatric care. Joe DiMaggio Children's Hospital is part of the Memorial Healthcare System, a 1,900-bed multihospital system highly regarded for its exceptional patient- and family-centered care. Memorial’s patient, physician and employee satisfaction rates are among the most admired in the country, and the system is recognized as a national leader in quality healthcare. South Florida offers an outstanding quality of life rich in cultural and recreational amenities. Residents enjoy pristine beaches, top-rated golf courses, museums, world-class dining and myriad family-friendly communities. Florida also has no state income tax.